1. 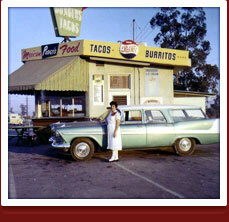 How many commissions exist in Irwindale? Irwindale has four commissions (Planning, Parks & Recreation, Senior Citizen, and Youth Commissions), though the Youth Commission never materialized due to a lack of participants. 2. Are commission members compensated in any way? Commissions do receive compensation, in the following yearly amounts: Planning - $2,400 plus medical, dental, & vision benefits; Parks & Recreation - $2,100 plus medical, dental, & vision benefits; Senior Citizen - $600, no benefits. 3. 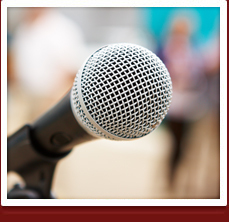 Is attendance at commission meetings mandatory to receive compensation? Attendance is mandatory for compensation. 4. Is there a maximum amount of compensation a member may receive? The compensation amount is the maximum that the commissioners may receive. 5. 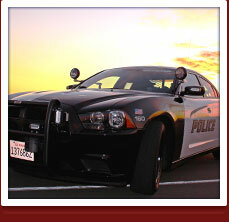 Does Irwindale have term limits on a commissioner's service? Terms: Planning - 4 years; Parks & Recreation - 3 years; Senior Citizen - 3 years; Youth - 2 years. Bona fide residents can serve indefinitely. 6. Are elected officials in your city allowed to serve on a commission? General State Law prohibits City Councilmembers from serving on a commission that advises the City Council. 7. Are the agendas and minutes of all commissions published on your website? 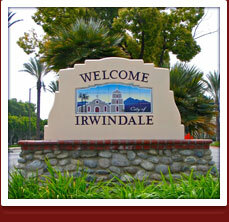 Agendas and minutes for the commissions are published on Irwindale's website, on each commission's webpage. 8. Do the above answers apply to all of Irwindale's commissions? These answers apply to all city commissions. 1. Do I have to make an appointment to apply at the Irwindale acceptance facility? Yes, appointments are required. To make an appointment, please call 626-430-2200. 2. Can I mail in my application or apply online? 3. What if I want both a passport book and a passport card? You can apply for both a passport book and a passport card at the same time on Form DS-11, but you must pay both fees. 4. How long will it take to get my passport? 5. I'm behind on child support. Can I get a passport? If you are behind in child support payments of $2,500 or more, you cannot get a U.S. passport. 6. How will my passport book and/or card be mailed back to me? Newly-issued passport books are delivered using Priority Mail with Delivery Confirmation, unless you pay for Priority Express return service at the time of application. 7. It states on my U.S. birth certificate that it is illegal to make a copy. What should I do? 8. Can I expedite the process? *Passport Services will Express Mail your expedited passport book back to you (1-2 day delivery time) for an additional $15.89 and can be included in the Passport Services payment. Passport Services cannot Express Mail a passport card back to you. The City Clerk's Office offers Express Mail to deliver your application overnight to Passport Services (1-2 day delivery time). This fee is $24.70 for Express Mail service and can be included in the City payment. 9. How can I check the status of my application? 10. Where can I find more information about passports?